Moving from one virtualization platform to another can be done easily using BackupChain’s disk backup toolset. Moreover, the conversions may be automated. Converting VHD files can be done one at a time or several disks simultaneously. In the case of Hyper-V or Virtual PC virtual machines you can do the conversion live, without taking the VM offline or pausing it. VHD files that are part of a running virtual machine can be converted to VHDX, VMDK, VDI, and physical disks without stopping or otherwise affecting the virtual machine. When converting from Hyper-V to VMware, VirtualBox, or to a physical server you may need to run our universal boot feature that will update the boot settings of the disk, in order to make it bootable in the new platform. However, most virtual machine conversions will work without the additional step. When the VHD file is converted, its contents are copied sector-by-sector. BackupChain offers an option to skip unused areas. In addition, all partitions are moved over to the target file or physical disk. BackupChain supports dynamically expanding as well as fixed sized disks when reading and writing. When writing to a physical disk, the target disk has to have the same or larger capacity as the original VHD. 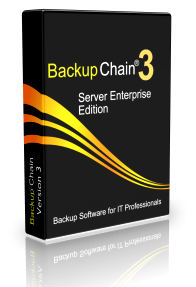 BackupChain is a Windows Server 2016 backup software specifically made for IT professionals who want control over their backups and require a flexible toolset to accommodate various backup schemes at their client sites and server farms. BackupChain offers a detailed log and many options that allow fine-tuning backups. Beyond the network backup target, BackupChain can also be used to set up a cloud backup and FTP backup and upload incrementally and differentially using deduplication to remote servers. In addition to Hyper-V backup and VMware backup BackupChain can also take a disk image backup of your Windows system disk as well as clone it live. Our goal is to provide you with the perfect, all-in-one Windows Server backup solution and toolset. VHD conversion and V2V are just one way you can use BackupChain. Download the full version today and checkout the many features beyond virtual disk conversion that you can use to protect your Windows Servers and workstations.